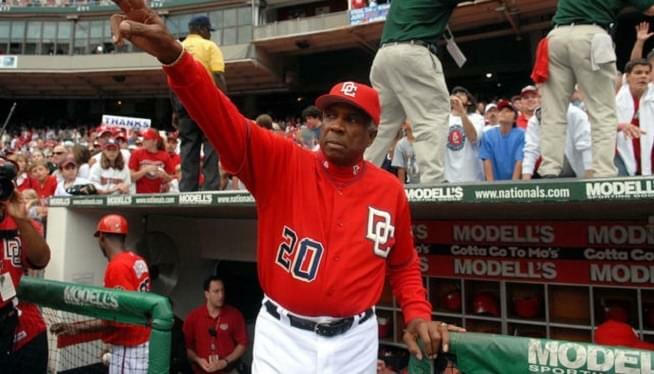 LOS ANGELES (AP) — Hall of Famer Frank Robinson, the first black manager in Major League Baseball and the only player to win the MVP award in both leagues, has died. He was 83. An All-Star outfielder in 12 seasons, his legacy extended far beyond the batter’s box. Robinson was the NL MVP with Cincinnati in 1961 and Baltimore in 1966. The Reds, Orioles and Indians have retired Robinson’s No. 20 and saluted him with statues at their ballparks. He’s also in the Nationals’ Ring of Honor.